Lose the January Blues and join us this month at The Travellers Joy for these great events! ▪Friday 4th - An evening of Folk Music 7pm onwards! ▪Saturday 19th - Play Your Cards Right hosted by Anne and Dean, 8pm till late! 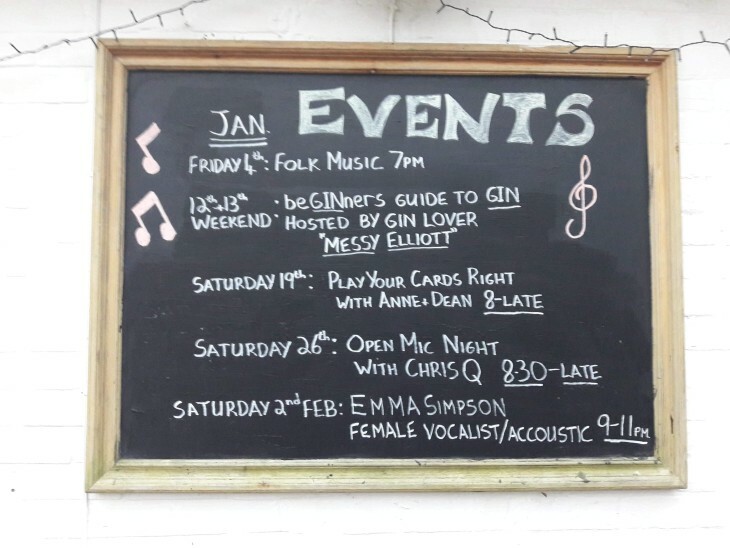 ▪Saturday 26th - Open Mic Night with Chris Q, 8:30 till late! ▪Thursday 31st - Coffee Afternoon 12pm-2pm come along for a chat with your neighbours! Not forgetting Free Pool Every Tuesday evening from 6pm, Pie Night every Wednesday and Derek's Famous free prize quiz every Sunday from 8pm!